Fig. 1. 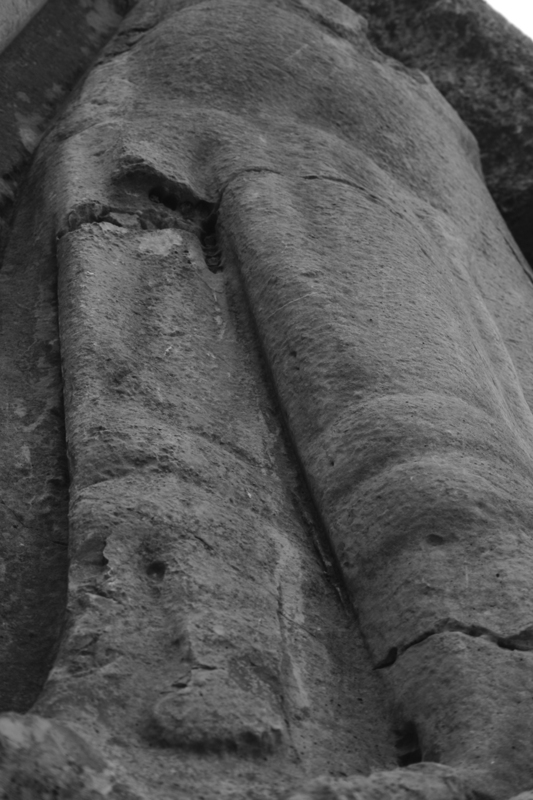 Detail of the entablature of the Lion Gate relief, showing the location of tubular drill holes and saw marks. The arrows indicate the erroneous saw cut and the unknown filling material within it. Fig. 2. Detail of the back paw of the hind leg of the Left Lion. Fig. 3. 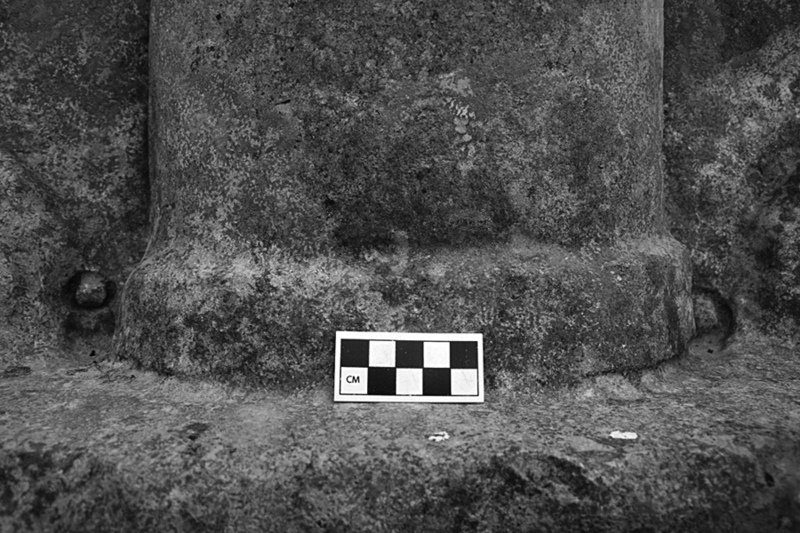 Detail of the base of the column, showing drill holes. Fig. 4. Short curved saw cut on the underbelly of the Left Lion. Fig. 5. Front legs of the Right Lion, showing tubular drill holes and angled saw cuts. Fig. 6. 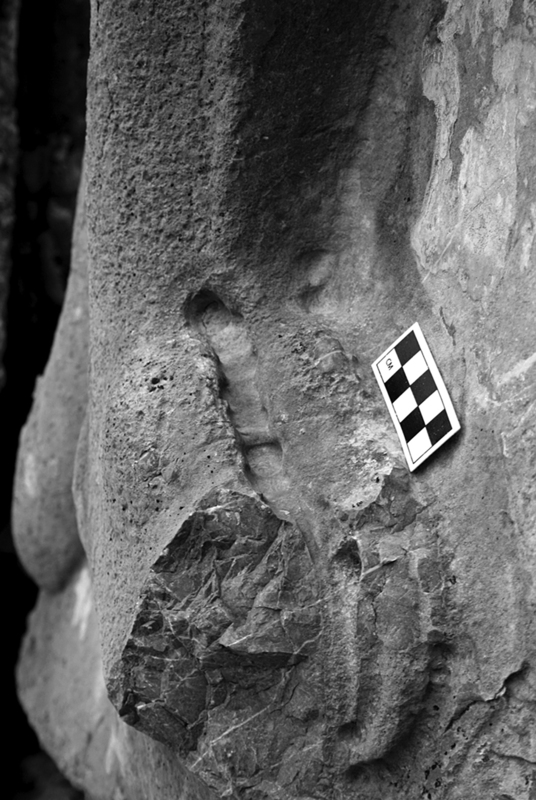 Left Lion, showing a detailed view of the remnant ledge. 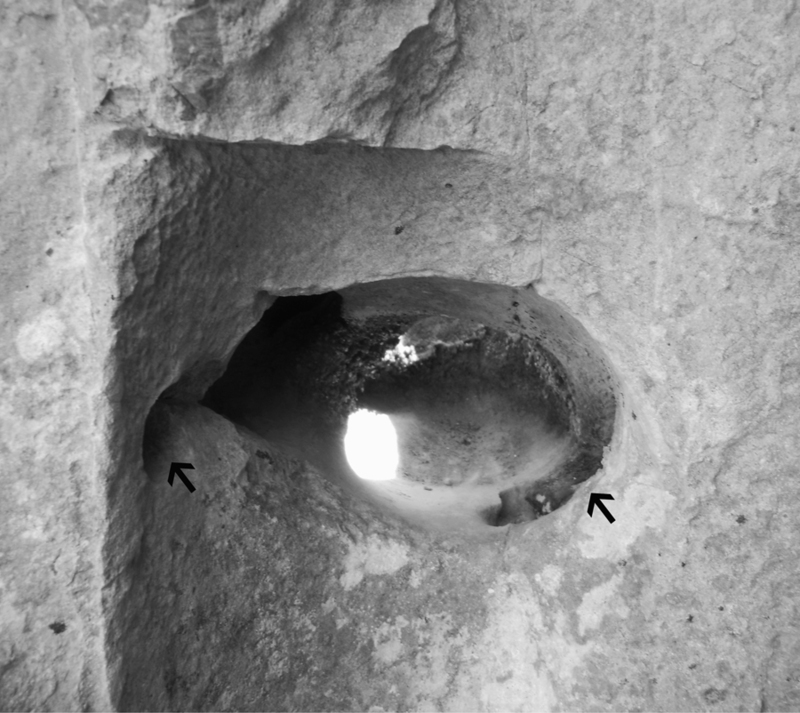 The arrows indicate the location of the ledge and drill holes. Fig. 7. 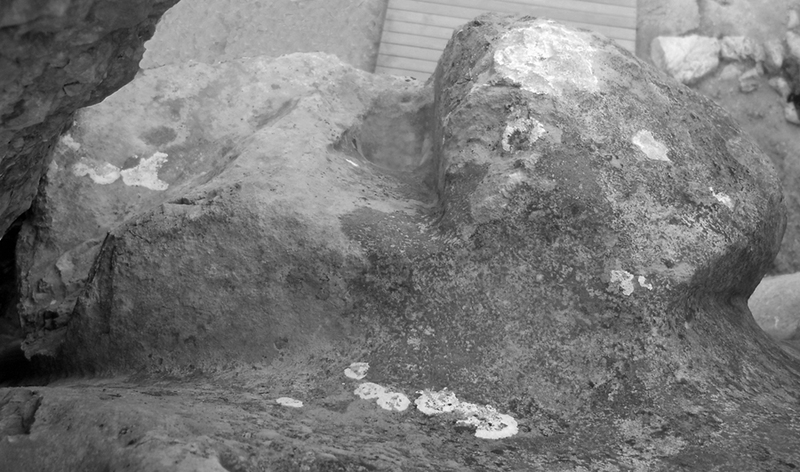 Right Lion, detailed view of the cavity in the tail. 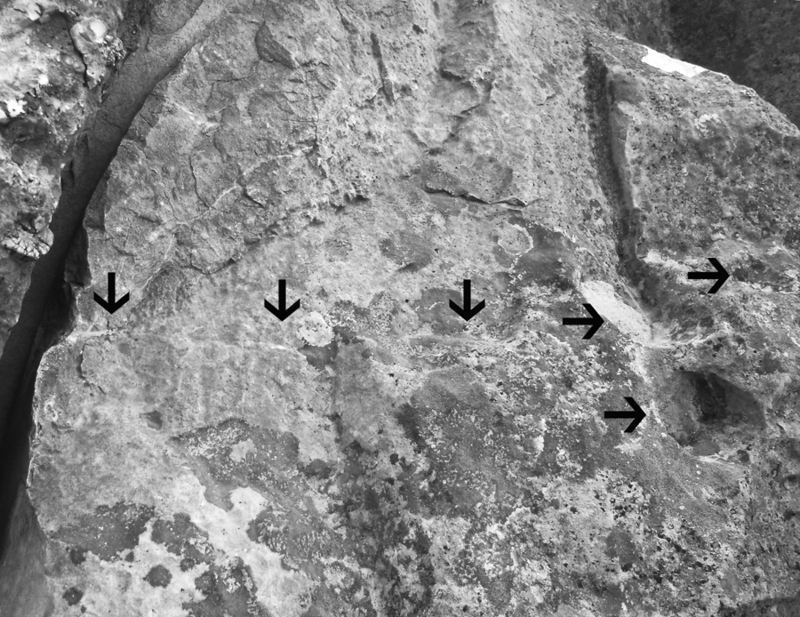 The arrows indicate the location of a drill hole and the unknown deposit of metal. Fig. 8. 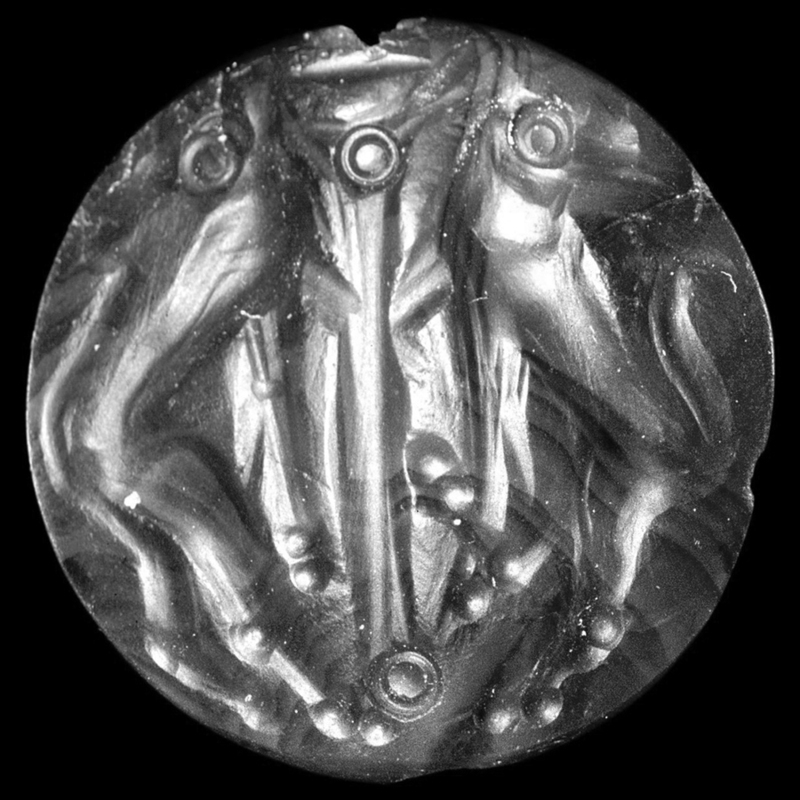 Agate sealstone from Ialysos (Rhodes), with heraldic lions looking backward (© The Trustees of the British Museum). Fig. 9. 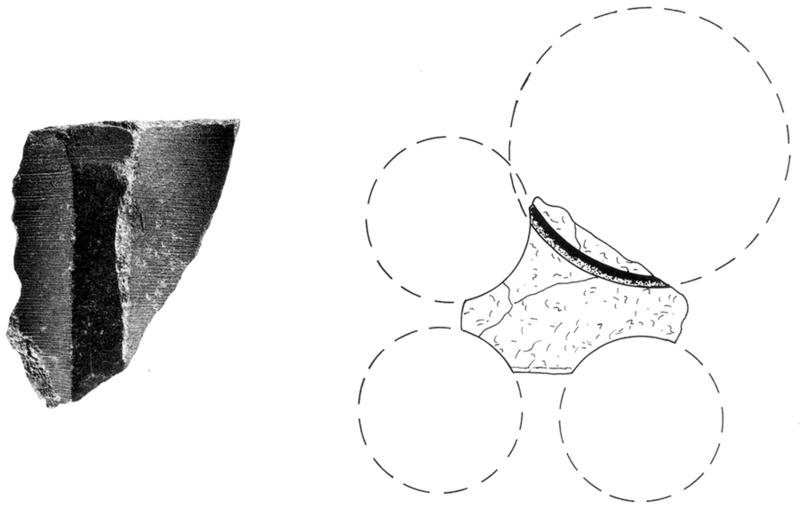 Boğazköy-Hattuša gabbro fragment, an example of debris from honeycomb drilling (Seeher 2005, fig. 25). Fig. 10. 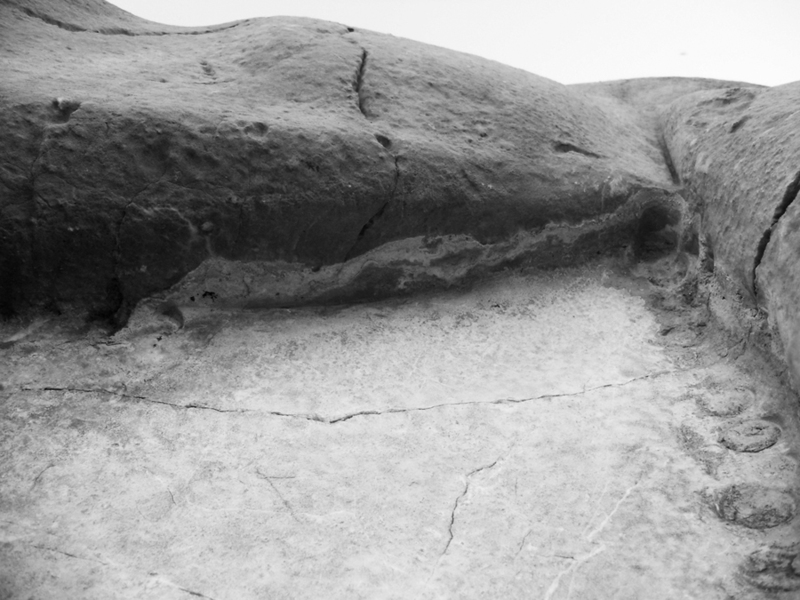 View from above the Right Lion of the Lion Gate, highlighting the three-dimensionality of the sculpture. Seeher, J. 2005. “Bohren wie die Hethiter: Rekonstruktion von Bohrmaschinen der Spätbronzezeit und Beispiele ihrer Verwendung.” IstMitt 55:17–35.